M100 is a face-on spiral galaxy in the Virgo Cluster, althouigh it is technically placed in the constellation Coma Brenices. It has well-defined spiral arms and was one of the spiral galaxies listed by Lord Rosse. The image below also contains many smaller galaxies. 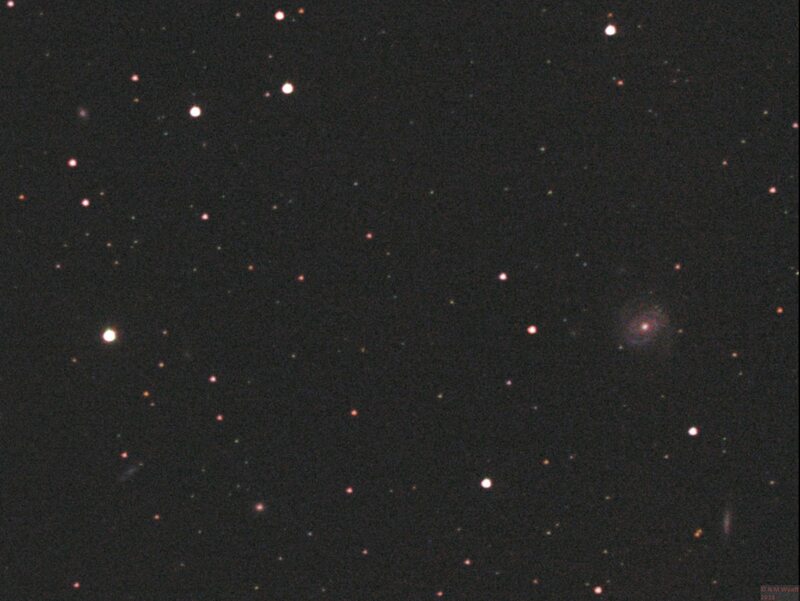 M100 is at the right of this image, but several smaller galaxies are scattered across the image. M105 is a galaxy in Leo which is known to have a supermassive black hole at its centre. It is part of the M96 galaxy group. 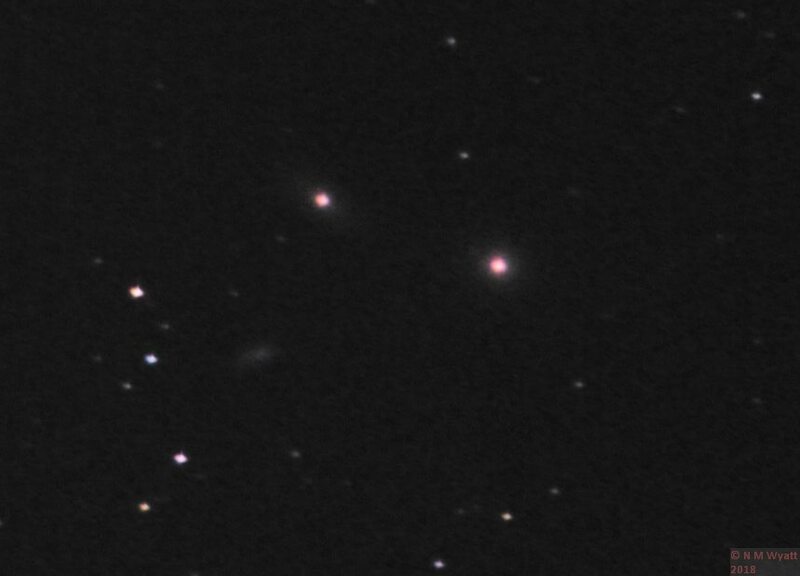 M105 (right) is near to the galxies NGC3384 (top of the triangle) and NGC3389 (faint fuzzy at lower left of the triangle). M96 is a galaxy in the constellation of Leo. 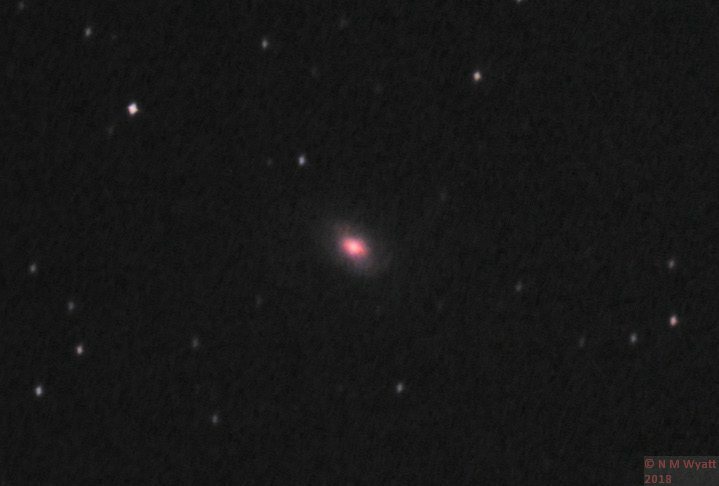 It is part of the M96 galaxy group. M96, a galxy in the constellation of Leo. 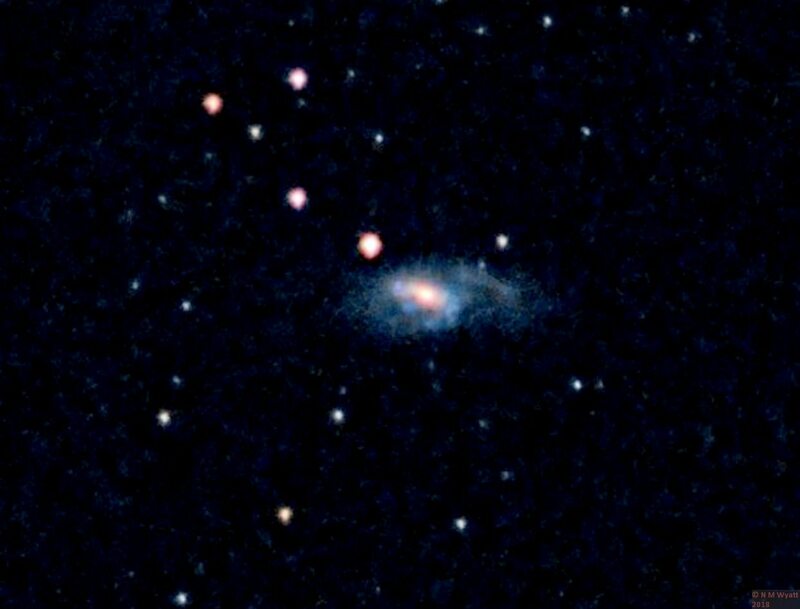 M95 is a galaxy in the constellation of Leo. It is part fo the M96 group of galaxies. M95, a galaxy in Leo. M66 is a spiral galaxy in the constellation of Leo, closely associated with two other galaxies M65 and NGC3628. Together these are known as the 'Leo Triplet' and they are actually relatively close to each other in space. 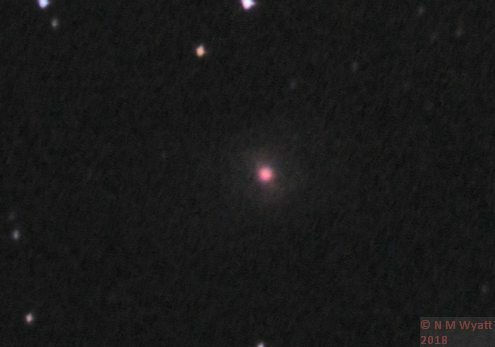 Compared to M65, M66 is much bl;uer, especially in its arms, as a consequence of much new star formation. M66 is a spiral galaxy in the constellation of Leo.